Podcasts have been around us for years and millions of people all over the globe listen to their favorite podcasts every day. Just like any other information media, podcasts also have diverse range and now hundreds of podcasts are available for programmers and developers too. 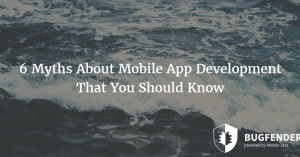 Of course, in the mobile development industry, implementation matters the most but podcasts can help developers learn some new concepts and get new ideas. More importantly, developers can listen to their favorite podcasts while doing other things. As mentioned above, there are hundreds of podcasts available for mobile app developers and finding the best ones could take time and efforts. We have done that for you and here is a list of some Android and iOS podcasts that you shouldn’t miss. Coding Blocks is a well known podcast that mainly targets programming in a general sense. Users can listen to the podcast while doing other things as it doesn’t go deep into the subject but help developers understand the best programming practices and help them understand algorithms and paradigms. It is safe to say Coding Blocks isn’t really about any particular programming language but it is a must-have podcast for every developer to learn how to see things from a different perspective. Their episodes are at least one hour long. Software Engineering Daily is an interview based podcast, it covers everything related to software engineering that is fairly a broad field. According to their official website and what they often say, listening to Software Engineering Daily would make you 1% better every day at understanding mobile apps and software. Their episodes are one hour long and the language used in their podcast is easily digestible by new programmers as well as the experts. Talk Python to Me is without any doubt the best podcast available for Python developers and Python lovers. Considering how much Python is popular right now and its future, it is safe to say that Talk Python to Me could be a game changer for people who want to learn the language or want to improve their coding skills. Talk Python to Me features an hour long episodes and as Python is known for an easy to learn yet hard to master language, these episodes can help you take one bite at a time. Accidental Tech Podcast is a well known podcast that is all about iOS apps and Apple ecosystem as a whole. It is a weekly podcast that usually comes with an hour and a half long episode. 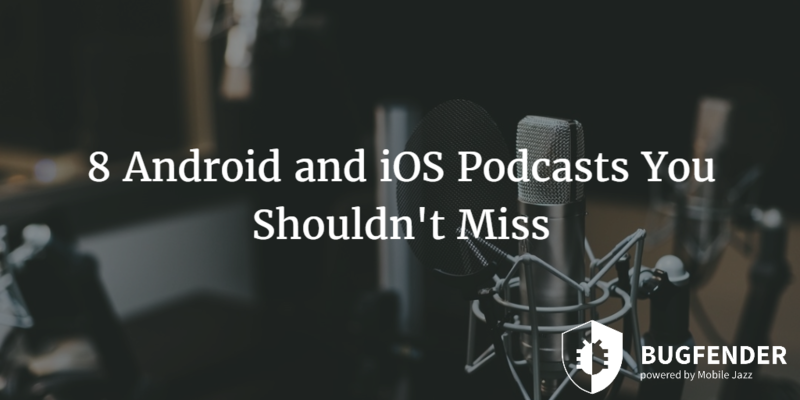 The podcast does not target technical topics but instead if features latest news about iOS and other similar topics. One of the three contributors of this podcast is a Perl Developer while other two are iOS developers. Programming Throwdown is featured by two iOS developers; although the frequency of this podcast is not as regular as most of the others yet the best thing about Programming Throwdown is the host discuss one topic per episode and this format keeps things simpler for listeners. Occasionally they invite guests too but this is not an interview-based podcast. At the end of an hour long episode, sometimes they recommend some amazing books related to the topic they discussed in that episode. Android Authority is one of the most popular sources of everything related to Android ecosystem, Android apps, news and the platform itself. Android Authority Podcast comes with a similar agenda and they try to cover everything important about Android every week. It is safe to say that Android Authority Podcast is an audio version of their weekly newsletter except they invite guests in every episode. If you are an Android developer or just an Android enthusiast, Android Authority Podcast would be a good fit for you. Fragmented is another Android related podcast that is hosted by well known Android developers Kaushik Gopal and Donn Felker. Unlike many other podcasts related to developing and software engineering, Fragmented is known for its light weight and easily digestible contents that cover a variety of topics including testing, best Android practices, libraries, patterns and many other things. Android Central Podcast is quite similar to Android Authority Podcast in many ways. Android Central releases its newsletter every week that covers latest Android news, apps, trends and best coding practices. The Android Central Podcast does the same. This podcast is specifically designed for people who are either Android developer or want to know what is happening in the Android world. Considering the light weight contents of Android Central Podcast, you can listen to the podcast while doing other things. Bugfender can do lots of things but the tool has been designed to do one thing; help developers discover the bugs in their apps before their users do and fix those issues as soon as possible. 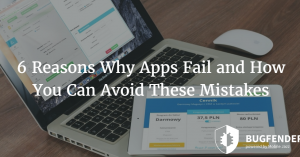 The current mobile app marketplace is competitive and the margin of error has been reduced dramatically in last couple of years. Now, users can jump from one app to another (as there are alternatives of every app) if they don’t like it or if the app doesn’t work as they expected. With Bugfender remote logging features, developers can get insights on the behavior of their apps on actual devices used by actual users thousands of miles away. 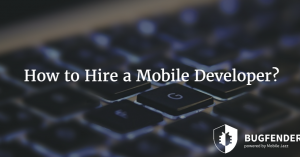 How to Hire a Mobile Developer? as_aimail Created with Sketch. as_menshealth Created with Sketch. as_cantina Created with Sketch. as_slack Created with Sketch. as_ford Created with Sketch. as_starbucks Created with Sketch. as_vorwerk Created with Sketch. as_napster Created with Sketch.